Chick is an ottoman bed with folded mattress in expanded polyurethane with a depth of 2 metres. 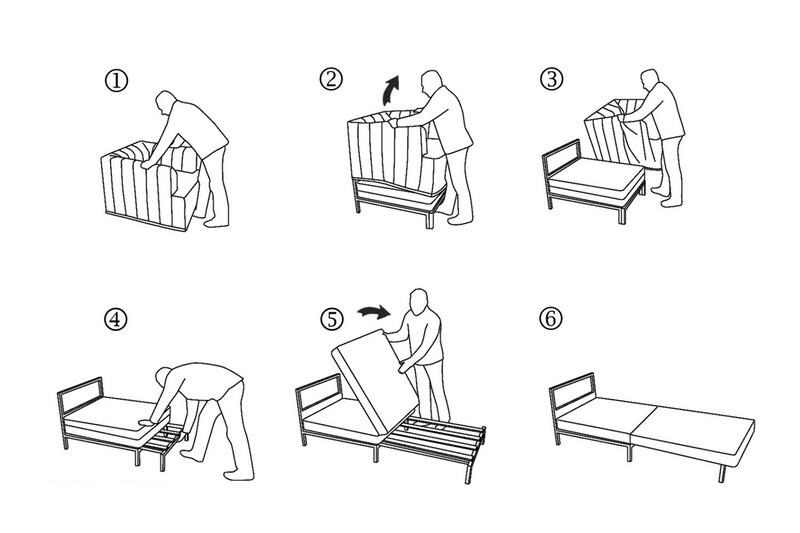 It can be opened in an easy and quick way: you only have to remove the cover, slide the bed base toward yourself and unfold the mattress. 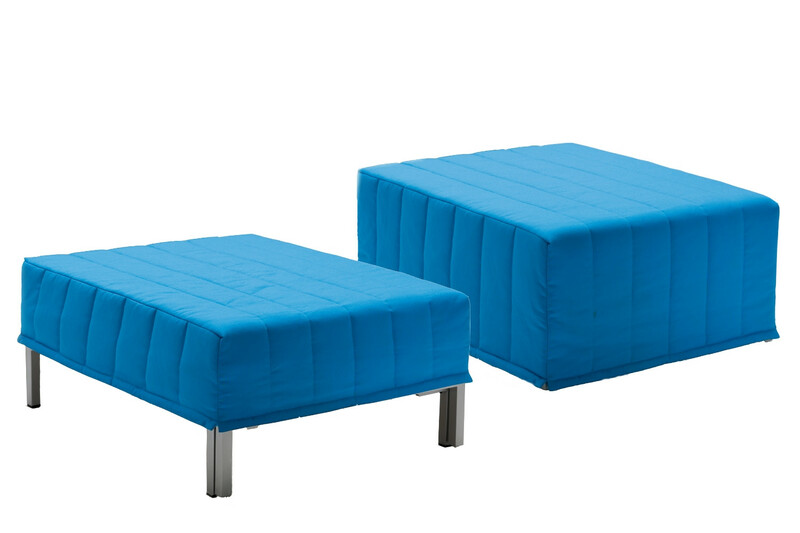 This small convertible ottoman is a minimal but useful item, it can be positioned in any room and allows you to offer a comfortable single bed to your guests. Chick is available in two models: one with cover touching the floor, and the other with visible metal feet. 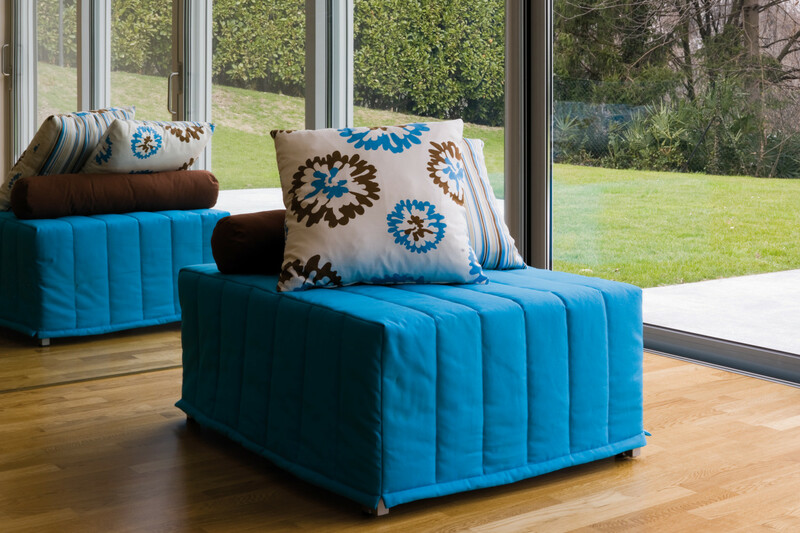 The fabric cover is available in many colours that can be easily matched with all the colours of your house. 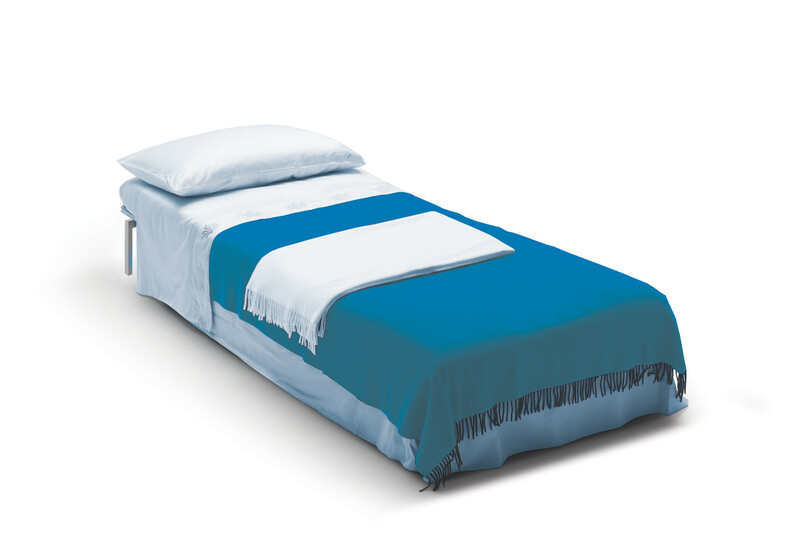 The ottoman is equipped with a standard cm 80 d.200 h.10 expanded polyurethane mattress. Chick cover is completely removable. The cover is in fabric quilted with hypoallergenic fibre, available in several colours displayed in the samples page. 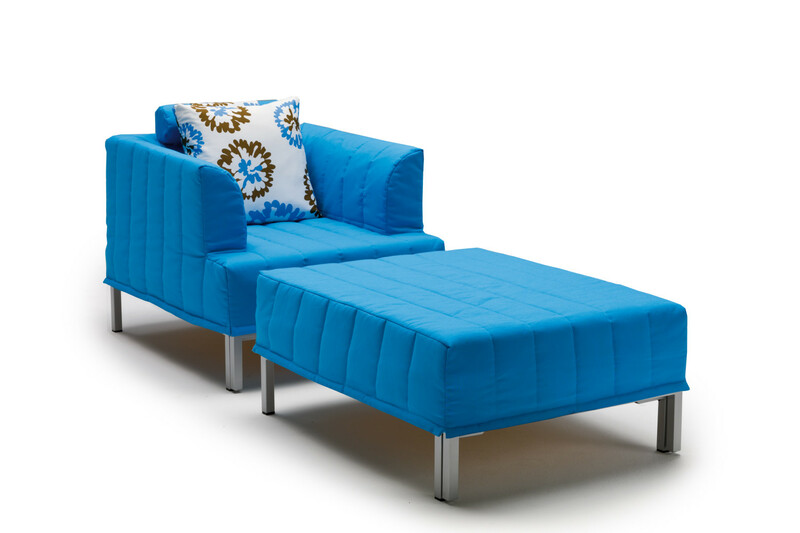 The sofa can be completed with a bolster with cushion, as shown in the photo gallery. 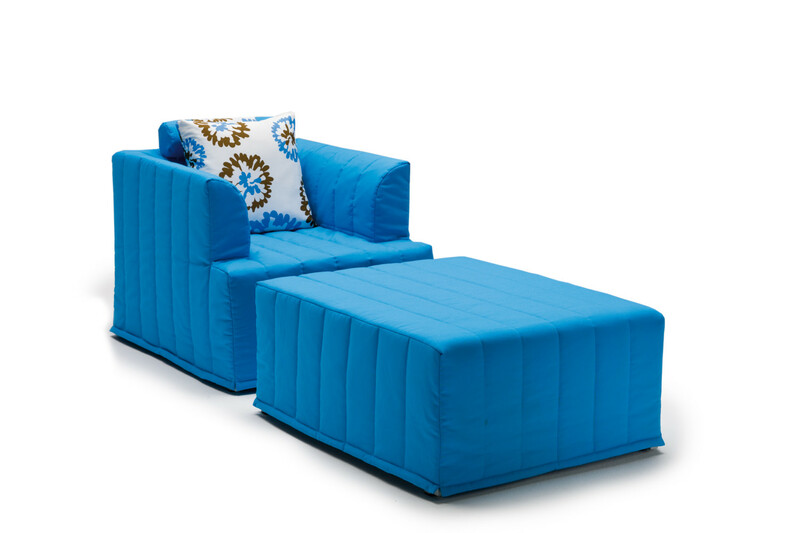 The bolster always matches the ottoman, the cushion can be chosen in another colour belonging to the same category chosen for the ottoman cover. Bottom cloth: polyester/cotton; padding: 100 g/m² 100% silicone polyester wadding. Dry cleaning. 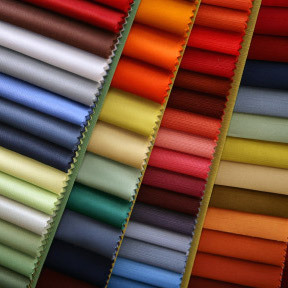 Top fabric: specifics in the samples page. Open and close the mechanism without lifting it from the floor. Sitting on the armrests is not recommended.